Recent assessment of a client with memory challenges resulted in needing a tool with numerous vocal reminders and a method to keep the tool with them through part of their daily schedule. An iPod Touch was recommended with use of Aida Reminder app, which allows vocal reminders, among many other alarm options. Identifying an app was not real difficult, but, finding a case with an attached lanyard for an iPod Touch 5 Generation was no easy task. A number of cases with lanyards for iPod Touch do exist, but, they seem to change with each iPod Touch model. Search for cases, resulted in finding the Lanskin Executive Skin Case providing an attached lanyard with a clip lock for lanyard length adjustment. Certainly, arm and leg cases with straps are available, but for this client, use of a lanyard seemed the most accessible option. Thus far, the Lanskin case for the iPod Touch has been successful, given the careful handling of the user. As described in the YouTube, this case is made of silicon and would not be a best choice if a rugged, protective iPod Touch case was needed. In this situation, the client and environment did not require a rugged case. Once applied by the client, it provides easy and immediate access to the device and apps and eliminated misplacement. 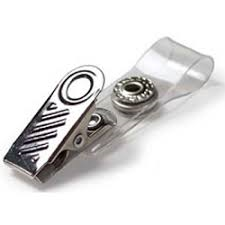 Applying a clip to the lanyard to further secure it to clothing reduced its movement and concern of hitting things or patients/student when leaning over. Any other ideas or suggestions on maintaining portable devices with clients are welcome! More ideas for your OT, teaching or vocational mTool Kit! This entry was posted in Accessibility, Accessories, Activities of Daily Living, Assistive Technology, iPod, iPod/iPad Accessory, Memory, Occupational Therapy, Organization, Rehabilitation, Traumatic Brain Injury, Vocation and tagged accessories, Activities of Daily Living, iPod, Memory, occupational therapy, Organization, TBI. Bookmark the permalink. I need a case for an iPod 6 touch. It needs have a place to attach a lanyard. My daughter can only use her right arm and hand therefore she needs some way of keeping up with iPod. She loves pushing button of iPod on and off for the light to come on! She has vision problems so light is comfort for her! She has to gave iPod 24/7 waking hours! Mary Ann, I apologized for the delay to your question/comment. It has been a busy fall with both professional and personal activities going on!